I’ve received a Degustabox! 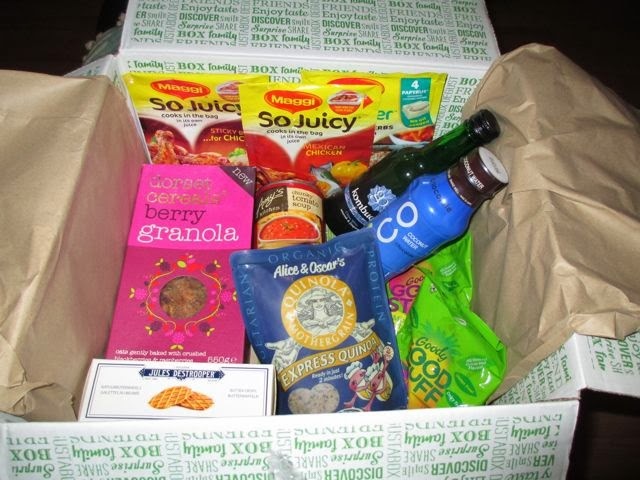 For those that don’t know Degustabox is a service which for £12.99 delivers you a box of surprise goodies, consisting of new or interesting products, so you can see why I love the idea of the service! Degustabox very kindly sent me a box so that I could have a look at the sort of goodies they send out. My first impression on opening the box was that it seemed very good value, as there was loads of things packed in. 3 x Maggi cooking packs. 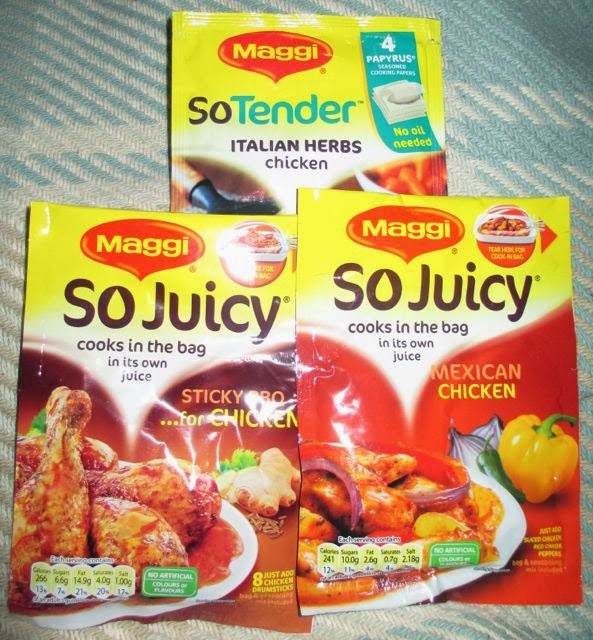 Two So Juicy cooking bags, one for sticky barbecue and one for Mexican chicken. The other Maggi product was called So Tender and it contains seasoned papyrus cooking papers. I have to say I can’t wait to try this, as I’ve not seen anything like that before and it looks a really fun way of cooking chicken breasts. 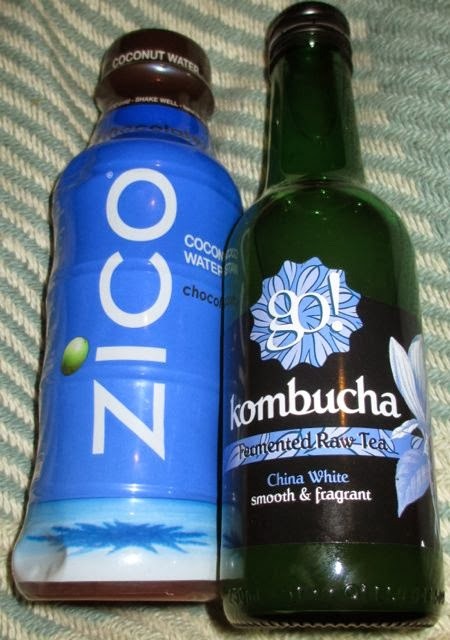 Drinks: a bottle of coconut water from Zico, which is a chocolate edition. I shall take this to the gym with me tomorrow, and see how I get on. They also included a bottle of Kombucha, which is fermented tea. I’m not sure what to do this a quick google highlighted several health benefits for the drink, but I think it might fascinate Spectre more! 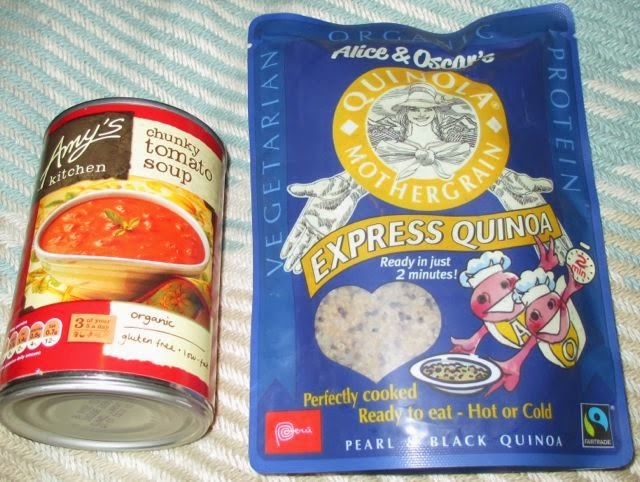 Other savoury: There was tin of chunky tomato soup, which will come in handy with all the cold weather we’ve been having, and a packet of quinoa. The quinoa microwaves in two minutes and I’m thinking i will make a great accompaniment to the Maggi Mexican Chicken. 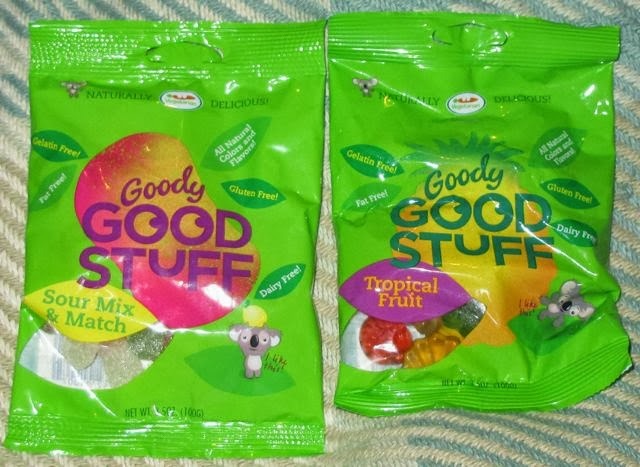 Sweets: Two packets from Goody Good Stuff, one Tropical Mix and one Sour Mix. These are a new brand of sweets to me, but are all natural and vegetarian. We are looking forward to giving these a try during a film night in. Other sweet items: Also included in the box were a packet of Dorset granola and a packet of wafer Butter Crisps from Jules Destrooper. Both of these items were from brands I have tried before, and enjoyed, so I’m looking forward to giving these items a try too. I thoroughly liked the selection of goodies, and have to say the value is really good, but you have to accept that there is going to be some random items in there. I was impressed by how many things there were from brands I hadn’t tried before, and that the quality of everything seemed top notch.